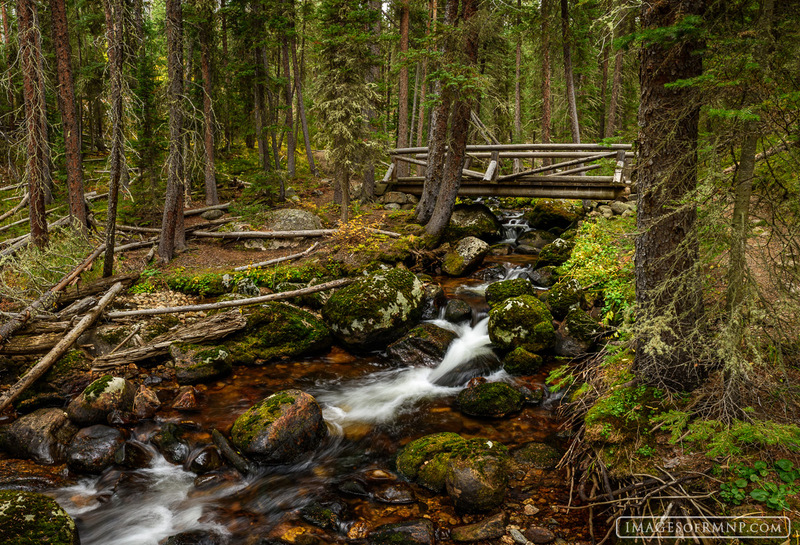 This is the beautiful Onahu Trail on the west side of Rocky Mountain National Park. The trail doesn’t lead to any dramatic location, but rather winds through the forest and over gurgling streams. It is a completely delightful place to get away to think and pray. There is a peace and stillness here that is different from the rest of the park. It is definitely one of my favorite trails. Photo © copyright by Erik Stensland.